(Backstory) Some weeks ago I started seeing some press surrounding this new release, so when I received an email stating Binny’s in Bowling Green would be releasing, I reached out to a friend that was nice enough to pick me up a bottle. Also, during a Sunday Night Live a few weeks back, our good friend Jamie (@hamjam74) mentioned he had picked up a bottle. We always like to show appreciation for our supporters, & since John wasn’t able to sample this one with me, I welcomed a second opinion to provide perspective. 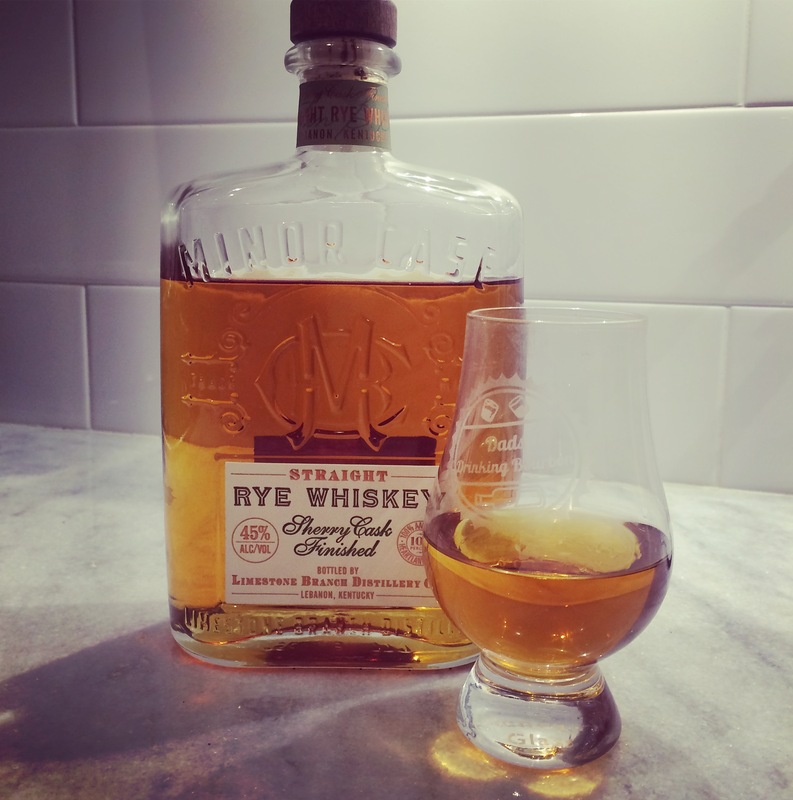 Minor Case Straight Rye is a tribute to M.C. Beam, grandfather to the founders of the current distillery. The rye is 2 year whiskey, distilled & aged in Indiana, finished in sherry casks, bottled in Kentucky. Quite impressively, the sherry finish works synergistically to mask the normal short-comings of a 2 year rye, while also enhancing the desirable aspects. Although it does nothing to affect taste, it should be noted that the bottle for this is quite impressive & one that is sure to catch any eye. Following the popularity of High West Midwinter Nights Dram, I’ve seen an increase of brands experimenting with various finishing techniques but this is the first product I actually enjoyed drinking. More on that comparison later, on to the review(s)! Finish: lacking, especially if you give it a good chew (which I often do)…without a chew, you can find lingering traces of previously mentioned flavors, but with a chew, a flash tingle followed by a brief remembrance of the sherry finish. Palate: thin, not much to chew on. hit of spice on the mid-palate, woody, this may sound silly, but I get a lingering sour grape. I’ve never had sherry before, so maybe that’s where that’s coming from. Finish: medium. it lingers a bit, but doesn’t leave me with an “Omg! I gotta have another taste of that!” feeling. Thoughts: It’s okay, a nice easy sipper for your “new to whiskey” friend, especially for rye’s because this isn’t overly spicy. For the more experienced drinker, I think it falls a little short, especially when you factor in the price point. It definitely left me a bit underwhelmed. I feel as though I paid more for the bottle itself than the juice inside.It sure is an absolutely great looking bottle with out a doubt! Overall: To complete this review, I did a small SBS against MWND…although I thoroughly enjoyed both, that being said I would compare the 2 as: MC – chip-shot FG, MW – 50 yard bomb FG. Final verdict: Sip It. I struggled against this decision in favor of Buy It, but ultimately chose because: it is a unique taste but not that of a true rye product, the price being a smidge high + Jamie seemed to reach the same conclusion. Many thanks to Jamie (@hamjam74)for helping me out with this one! – John & I in no way consider ourselves to be experts & always appreciate the opinion/time of others.